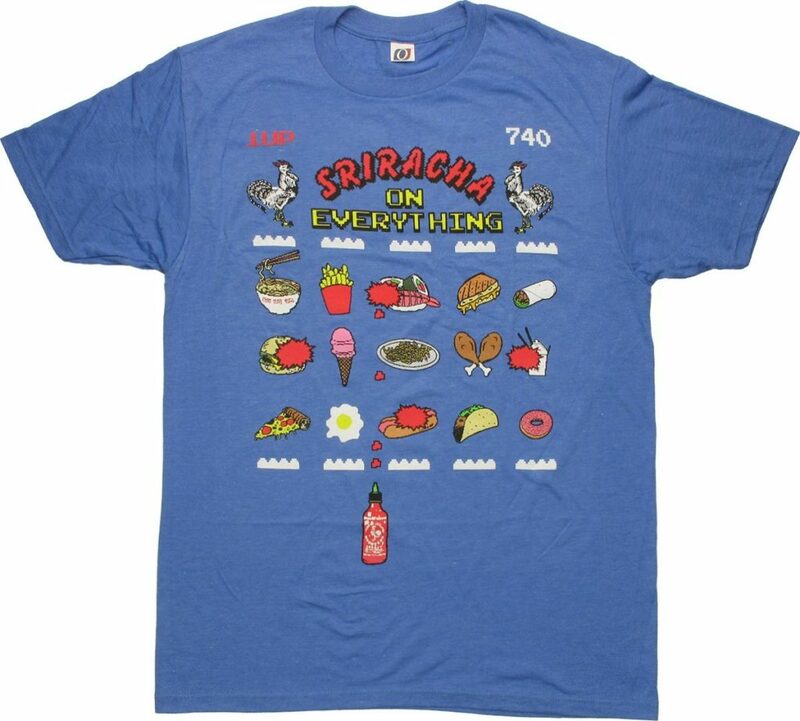 Fans of Sriracha hot rooster sauce put it on everything, as shown on this funny and mouth-watering Sriracha t shirt! The Sriracha On Everything Game T Shirt Sheer is heathered blue with a soft feel and a slim fit. In a design that resembles an 8-bit videogame, the words “Sriracha on everything” are flanked by two roosters above images of various foods from noodles to donuts! Donuts?